It’s so easy to travel around London with Marble Arch as your base. You’re already in the centre of everything! If you use Marble Arch Tube Station you can be browsing the world famous Covent Garden Market and visit the lovely bars and boutique shops there by travelling just six minutes on the tube to Covent Garden Tube Station. The London Eye at Waterloo is just eight minutes by tube if you get off at Waterloo Tube Station. Why not hop on a tube to visit St Paul’s Cathedral - you’ll be at St Paul’s Tube Station in just nine minutes. If you fancy exploring trendy north London you can visit Camden Market in a ten minute journey (get off at Camden Town Tube Station) or take in the village vibe of popular Hampstead by travelling the fifteen minutes to Hampstead Tube Station. If you decide to drive around this part of London, the nearest NCP car park is Bilton Towers on Great Cumberland Place. 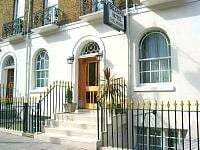 Or there’s another one just a short distance from Marble Arch Tube Station on Kendal Street. If you want to get around Marble Arch by taxi there are lots of taxi companies in the area. 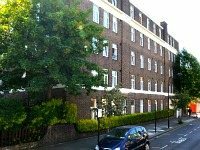 The nearest to Marble Arch Tube Station is Seymour Cars on Seymour Place, or Airport Taxis on Crawford Street. As Marble Arch is so centrally located you’ll find it incredibly easy to explore central London on foot. Madame Tussauds is just a five minute walk away if you start out from Marble Arch Tube Station. You can easily get to the fantastic shops of London’s Oxford Street –it only takes about eight minutes to walk there. It takes about twenty minutes to get to lively Piccadilly Circus as it’s only about a mile away. Shaftesbury Avenue, the centre of London’s ‘Theatreland’, is twenty-five minutes from Marble Arch on foot. Be sure to catch one of the world-renowned shows and then stay for a drink in the theatre bar. If you fancy a slightly longer stroll you can walk to trendy Notting Hill and visit the fabulous Portobello Road Market in twenty-five minutes.